Available in burglar resistance Classes 3, 4 and 5. Monolite represents the best in innovation and design by Bauxt. It is the first flush-fit armoured door that can be opened by a full 180 degrees thanks to its patented Rondò hinge system. Perfectly aligned to the trims, Monolite becomes a distinctive element of interior design in every circumstance, providing the maximum freedom to design your own bespoke door with the widest range of wood veneers, materials, and special finishes for the panelling. Monolite is the only armoured door with concealed hinges capable of achieving burglar resistance Class 5, the maximum for domestic properties. Monolite combines innovation and beauty. It is the first flush-fit armoured door that allows the door leaf to open by 180 degrees. By perfectly aligning with the trims, it becomes a distinctive design element in any room. Monolite is beauty. 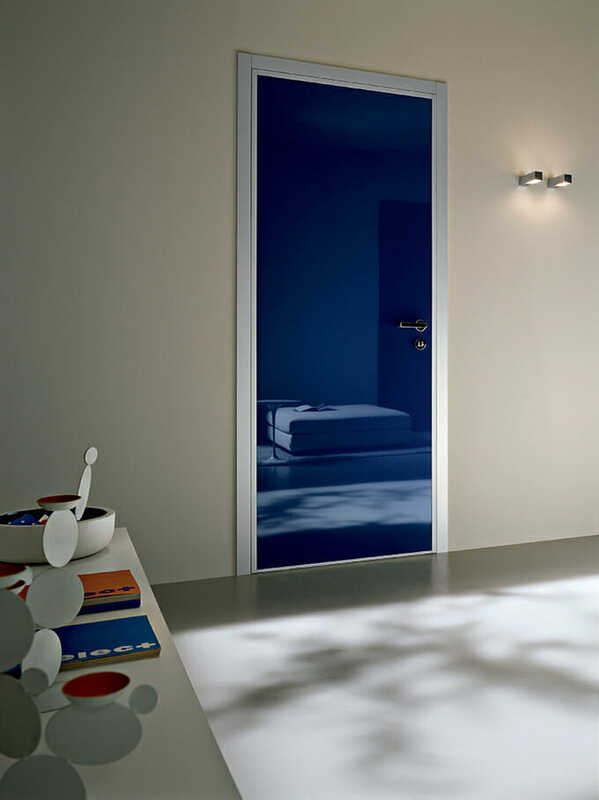 With its clean and contemporary design, a Monolite door does not look like an armoured door. It becomes a room design element providing the widest freedom in the choice of its interior and exterior panelling. Wood veneers, technical materials, “wall effects”, lacquers, colours, details: The armoured door becomes an expression of your own personal taste, seamlessly blending with the style of your home. Rondò is a concealed hinge system patented by Bauxt. Adjustable on three axes (height, width and depth), the Rondò system ensures the perfect flush fitting of the door (between frame trim and door leaf with the Monolite range or between wall and door leaf with the Monolite RM range) while allowing a full 180° opening of the door. 180° opening of flush-fitted doors is important to prevent transferring the rotation torsion stresses onto frame, counterframe and ultimately to the wall, generating the undesired cracks on the plaster at the side the door that frequently occur when a hinge with a shorter range of rotation is used instead. Concealed hinges, visible when the door leaf is open, with black cover and steel insert. Lab-certified tensile strength at break of 550kg per hinge. Over 450,000 opening cycle, of which the last 100,000 in laboratory cold cell, with injections of liquid nitrogen at -195° C directly onto the hinges – WITHOUT REACHING BREAKING POINT. Class 5, optionally extendible as per UNI EN 1627 (from LA 720×1680 to LA 990×2310 – if necessary, specify required certification at time of order). UD= 1.7 W/m²K with wood-based 7 mm panels. UD= 1.7 W/m²K with internal wood-based 7 mm panel and external wood-based 16 mm panel. Requires wood flush trims. Up to LA 1000×2500. Double cylinder lock with standard-fitted daisy-chain block (the second turn of the master/upper cylinder also prevents the operation of the service/lower cylinder) with double EVVA 3KSplusXP key/key anti-drill, anti-bumping cylinder (class 2) in master/service configuration, both protected by anti-drill, anti-pipe, anti-grinder, anti-rip defender (class 4). 15 securing points: 11 moving points, 1 spring latch, 3 fixed hinge bolts. Key system: 3 proprietary Bauxt profile master keys with Security Card (may be duplicated only by Bauxt) + 3 proprietary Bauxt profile service keys with Security Card (may be duplicated only by Bauxt). Class 3, optionally extendible as per UNI EN 1627 (from LA 720×1680 to LA 990×2310 – if necessary, specify required certification at time of order). Class 4, optionally extendible as per UNI EN 1627 (from LA 728×1680 to LA 1000×2310 – if necessary, specify required certification at time of order). UD=1.8 W/m²K with wood-based 7 mm panels. UD=1.7 W/m²K with internal wood-based 7 mm panel and external wood-based 16 mm panel. UD=1.6 W/m²K with internal and external 16 mm wood-based panels. UD=1.6 W/m²K with internal wood-based 7 mm panel and external wood-based 21 mm panel. Requires wood flush trims. Up to LA 1000×2600. 9 securing points: 6 moving points, 1 spring latch, 2 fixed hinge bolts. 10 securing points: 7 moving points, 1 spring latch, 2 fixed hinge bolts. Key system: 1 recodable installation key (not unified) for master cylinder + 1 recodable installation key (not unified) for service cylinder + 3 master keys with Security Card + 3 service keys with Security Card. anti-bumping cylinder (class 2), protected by anti-drill and anti-pipe defender (class 4). Alkaline batteries (non-rechargeable), external TAG reader, internal keypad as standard. Key system: 3 transponder keys + 1 recodable installation key (not unified) + 3 master keys with Security Card. Key system: 1 re-codeable installation key (not unified) for master cylinder + 1 re-codeable installation key (not unified) for service cylinder + 3 master keys with Security Card + 3 service keys with Security Card.